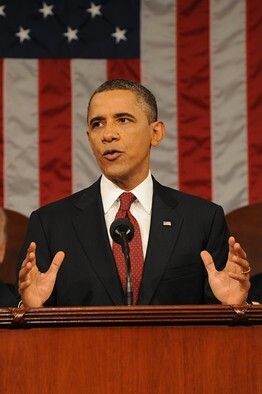 President Obama’s State of the Union Address Tuesday night touched on deficit reduction, tax and regulatory reform, exporting, and other issues of interest to small business owners. But some entrepreneurs and small-business groups said that they believe the speech didn’t go far enough in citing specific solutions that can help spur growth and hiring, among other things. The president highlighted the importance of small firms in the U.S. economy. He also emphasized the need to help them grow and hire in the U.S., through tax reform and regulatory reform. But he stopped short of listing the small-business tax provisions and regulatory challenges he hoped to change. For a detailed look at other aspects of the address, click here. For an analysis of his proposals for Congress to consider, clickhere. Small-business owners didn’t get anywhere near the level of attention that they received in his State of the Union address two years ago. Then, Mr. Obama mentioned small businesses more than a dozen times. He also called on Congress to craft several pieces of legislation that directly impact small businesses, a few of which were later signed into law. Leading up to this year’s address, Mitch Marrow, founder of SPOT Group LLC, a New York doggie day care and dog services firm, said he hoped the president would address liquidity issues facing small firms. His company has grown to 135 employees at six locations and is poised for expansion. But Mr. Marrow has had trouble accessing a line of credit that could help his firm meet its potential because, he said, he’s only been in business for about a year. Mr. Obama touched on capital constraints but didn’t offer specifics on how to loosen credit for small firms. Mr. Marrow, who formerly worked in the hedge fund industry, said he was discouraged that the president opted instead to speak about the need for strict oversight in the financial sector because “that equates to less lending and liquidity,” he said. Mr. Marrow says he is a fiscally-conservative Independent who didn’t vote for Mr. Obama in 2008. Mr. Marrow also wanted to hear about employment incentives, such as tax breaks for hiring and training new employees. But the president focused instead on incentives for bringing overseas jobs back to American shores, which doesn’t apply to Mr. Marrow’s business. Spokespeople for the National Small Business Association and the National Association for the Self-Employed, both trade groups in Washington, D.C., said they were pleased that the president noted the importance of creating a level playing field for businesses, despite the absence of details. “I forgive politicians who run a country and have one hour to outline plans,” said NSBA Chair Chris Holman, adding that Mr. Obama’s key themes of eliminating regulations, cutting the deficit and creating a fair tax code, were on point. The NSBA, a non-partisan organization that does not endorse candidates, has 150,000 members. NASE is a non-partisan organization that represents about 200,000 member businesses. It does not endorse candidates. “[Our members] wanted to hear concrete steps and it was short on details,” said Cynthia Magnuson, spokesperson for the National Federation of Independent Business. The group, a conservative lobby based in Washington, D.C., has about 350,000 members. It has a track record of endorsing more Republican than Democrat politicians, but it does not endorse presidential candidates, according to Ms. Magnuson. Mr. Obama lingered on the idea of international trade, without specifically mentioning the role small firms play. The Export-Import Bank, the export credit agency of the U.S., authorized $789 million to small firms in the first quarter of fiscal 2012, ended December 31, 2011. And the number of small-business customers went up 10% compared to a year earlier. But the agency, whose charter expired at the end of September, is running on a temporary charter. “We need to be reauthorized and we need to be reauthorized at the [lending] level the president has asked for,” said Mr. Hochberg. Steve Case, chair of the Startup America Partnership, a public-private program intended to spur entrepreneurship, said he is in favor of a variety of legislative proposals that aim to keep high-skilled and entrepreneurial-minded workers in the country, as well as reforms that can make it easier to go public and to get funding through crowd-based platforms. “There are almost a dozen bills in Congress” that touch on these issues, Mr. Case said. The Export-Import Bank is running on a temporary charter. An earlier version of the article incorrectly stated that the agency was running on temporary funding.